How Can Retail Stores in Orlando Use Window Graphics? 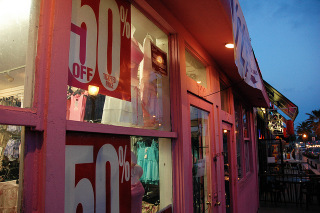 Do you have windows that face the public in less flattering areas of your store? Or, do you have a giant storefront window in a heavy traffic area? Window graphics can help your business in these situations as well as plenty of others. Retail merchants can achieve many objective at an affordable price when they put window graphics for retail stores in Orlando to work for them. To get the skinny on this excellent marketing tool, read on! Clients need to know how they can get in touch with you as well as when your shop will be open. Do you have a way they can shop for your products online? What is the web address? Vinyl lettering on glass doors and windows can convey all of this information. Most retailers are painfully aware that holiday and back to school shopping are “do or die” sales opportunities for them. Most of their sales come at these times of the year. By using season appropriate graphics on your windows, you can get consumers to dig out their wallets in increasing numbers. You can catch the full spectrum of shoppers from the early birds to the last minute procrastinators if you get your decorations up early enough. Do you have trouble keeping certain items in stock? Let consumers know when they can count on finding these products on the shelves. This will boost your sales and reel in impulse buyers. Additionally, you need to let shoppers know about the deep discounts that will be available at upcoming sales events. The perfect way to do this is with retail store window graphics for Orlando. The goal of building brand awareness is to get consumers to think about your enterprise when they are in need of your services. When you use an array of different methods to get your logo and name in front of as many eyes as possible, you increase your brand recognition. One of the ways to do this is with window stickers. 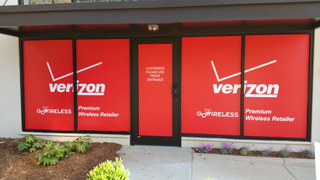 We can precisely replicate your store’s typeface, colors, and logo with crisp vinyl graphics that really pop. Just by adding vinyl graphics to your windows, you can give the exterior of your building a facelift. If you want to hide unsightly storage areas or display shelves near your windows, vinyl window perf is the perfect solution. While still allowing natural light in, you can display whatever images or message you want when you go with this option. 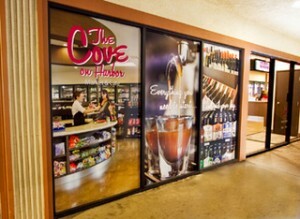 Ordering window graphics for your retail store is simple. The friendly professionals at Citrus Sign Studio can supply you with all of the tips, tricks, and suggestions you need to succeed. We will clue you in on what other businesses in your industry are using, so you can be informed in your decision of how to stand out from the competition. If you are in need of window graphics for your shop, we would enjoy helping you out. Contact us today for a free consultation and quote!